Dont skip a beat while on the road when you stay at Fairfield Inn & Suites Reno Sparks hotel. Located next to Legends Outlets and only 7 miles from Reno-Tahoe International Airport, our hotel makes travel to Reno-Sparks effortless. Spend your day with the family at Wild Island Family Adventure Park or attend an event at Reno-Sparks Convention Center. Business travelers wont lose any momentum at our top hotel in Sparks, near Tahoe-Reno Industrial Center. Warm and comfortable rooms await you after a busy day. Connect to our free Wi-Fi as you unwind in front of our flat-panel TVs. 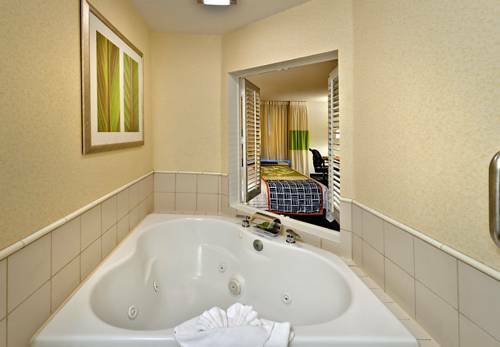 Book one of our Reno King suites with whirlpool deep-soaking tubs. Jump start the next day with our complimentary breakfast featuring a selection of healthy and hearty meals. Keep up with your workout routine in our fitness center or our indoor pool. At Fairfield Inn & Suites Reno Sparks, youre our #1 priority. Ask us about The Fairfield 100% Guarantee , where we promise you'll be satisfied or we'll make it right.